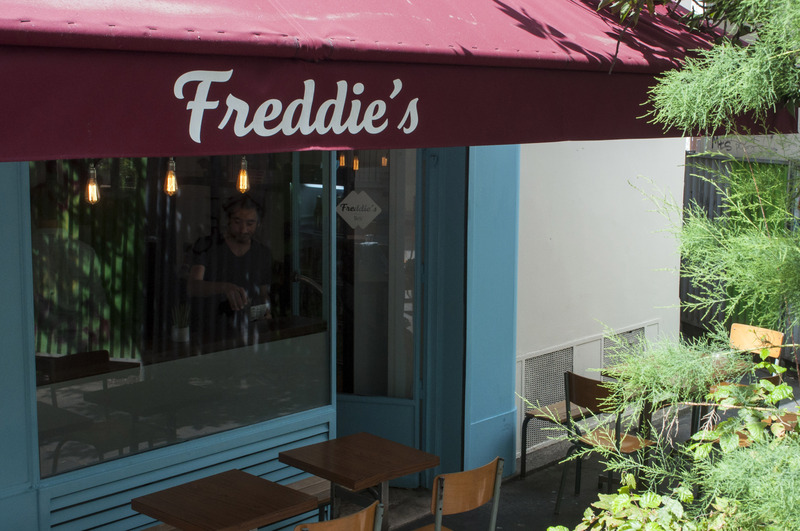 The trademark crimson awning of Freddie’s Deli, Paris. Freddie’s Deli, nestled in the Belleville neighbourhood in Paris. The entrance to Freddie’s Deli, Paris. A sandwich loaded with house-made pastrami at Freddie’s Deli, Paris. 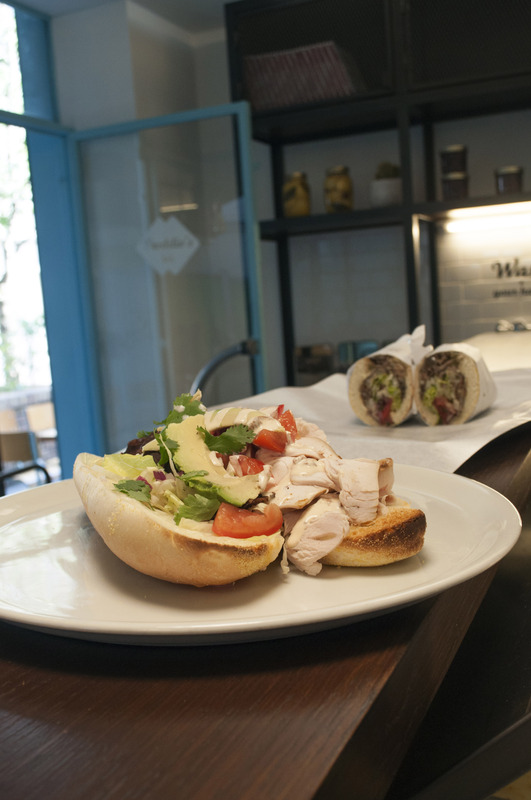 The I Love Lucie sandwich at Freddie’s Deli, Paris. 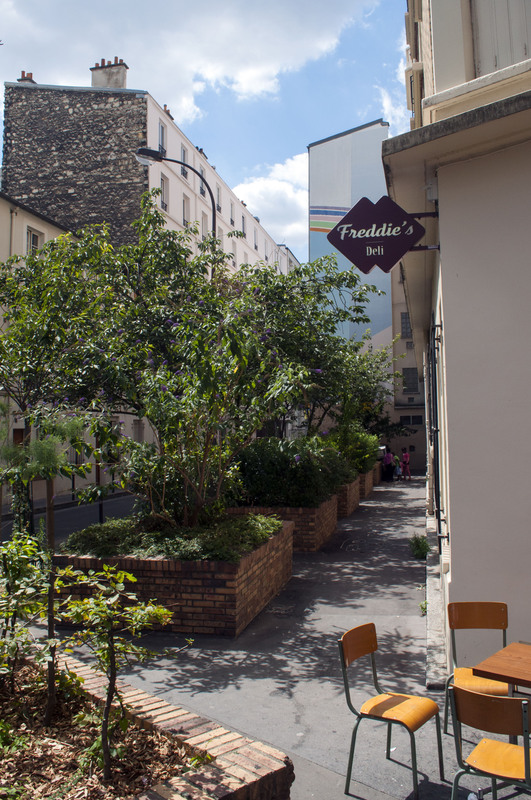 Freddie’s Deli, tucked away in Paris’s Belleville neighbourhood, proves once again that, given the chances, Parisians are passionate about food from across the Atlantic. This convivial spot, set in leafy surroundings, is the latest edible offspring of Californian Kristin Frederick. In 2009, she decamped to Paris and culinary school; stints at Michelin-starred spots followed. Then, in 2011, Frederick took to the streets. All over France, you see travelling purveyors of pizza and kebabs but Le Camion Qui Fume was genuinely new. It was the first authentically gourmet food truck in Paris, and its moveable feast of big tasty burgers, crispy frites, coleslaw, and cheesecake immediately hit the spot. Two-hour lineups were common with the food truck’s Facebook fans tracking its schedule online. The “smoking truck” became so hot that it now has its own burger cookbook. 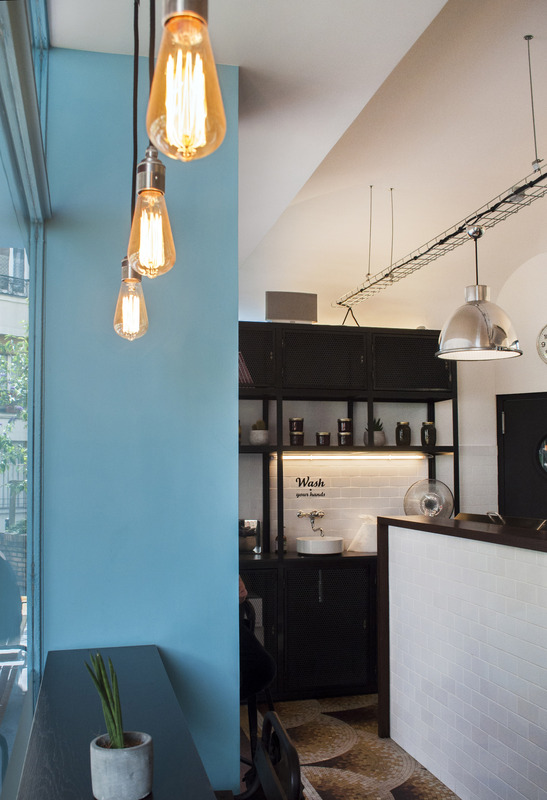 The new trans-Atlantic transplant, Freddie’s Deli, is a suitably cool follow-up. In France, le sandwich usually means “filled baguette”: fromage, jambon, combos thereof, sometimes with lettuce, decorously filled. At Freddie’s Deli, sandwiches are generously North American: overstuffed, big-flavoured two-fisters. Yet, she’s managed. 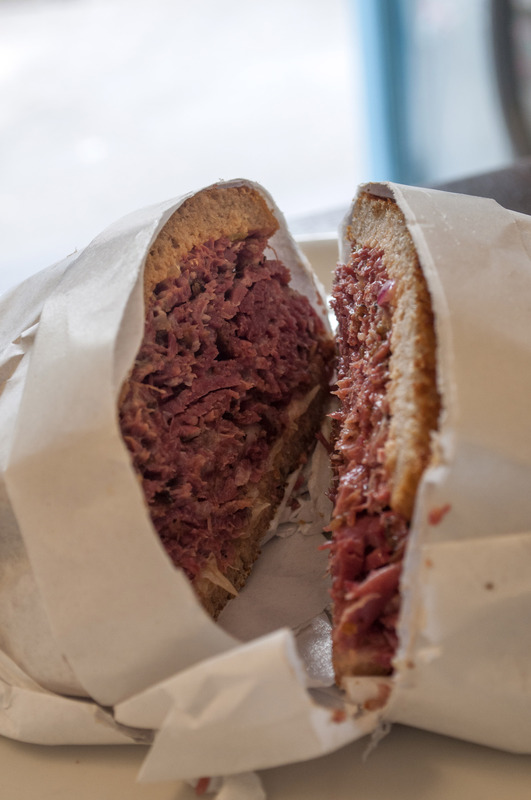 Locals chow down on the pastrami—brined for seven to 10 days and marinated overnight, before being smoked and steamed in-house—that crams the Reuben and Goodman sandwiches (Frederick worked with boulanger Gontran Cherrier to develop an authentic rye bread). The Freddie from Philly sandwich piles up entrecôte, grilled veggies, and cheese. Chimichurri sauce zips up the G-Thang. Pork and guacamole feature in the Olé Moly. Tuna or turkey fill other favourites. For drinks, there’s Brooklyn lager, and for dessert, Oreo cheesecake or key lime pie.